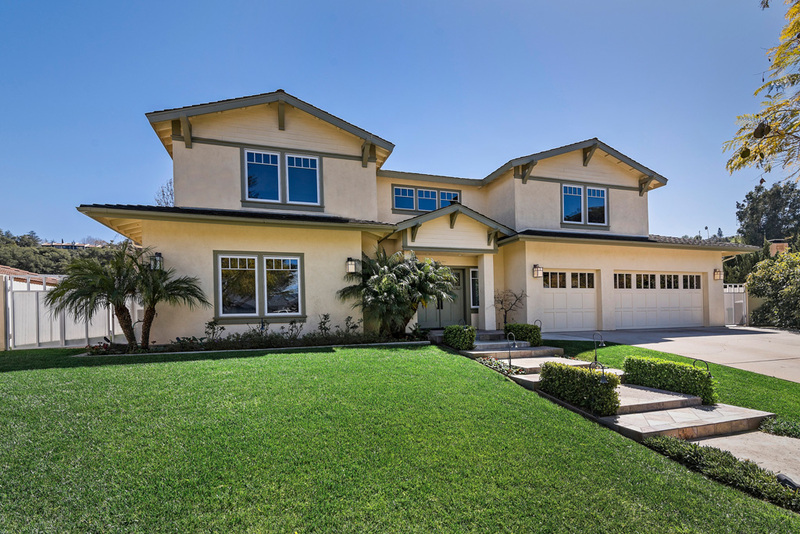 1010 Belmonte is an impeccably built, spacious home, filled with natural light. The approximately 4300 +/- home is two stories and has 5 or 6 bedrooms and 5 bathrooms. 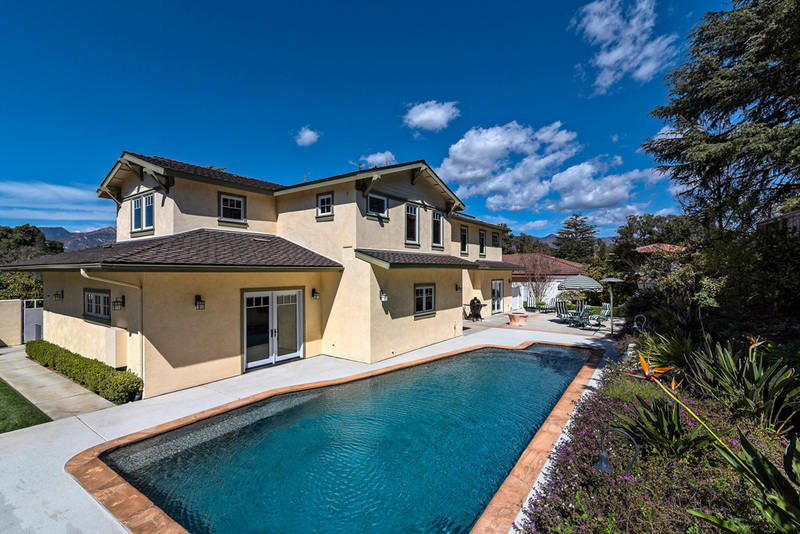 In addition to the high-quality construction of the home, there is a solar heated, salt-water Pebble-Tec pool and spa surrounded by maturely landscaped plants and trees in the fully fenced and private backyard. 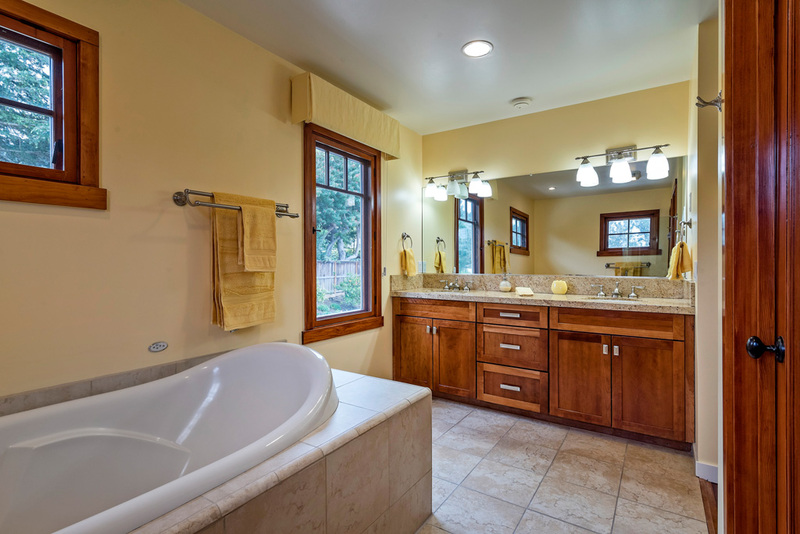 This Craftsman style home was completely remodeled in 2006. The current owners have cared well for the home and taken it to the next level in regard to upgrades, fine tuning and staying on top of any needed maintenance or repairs. It is rare to find a home that is in such fantastic condition. 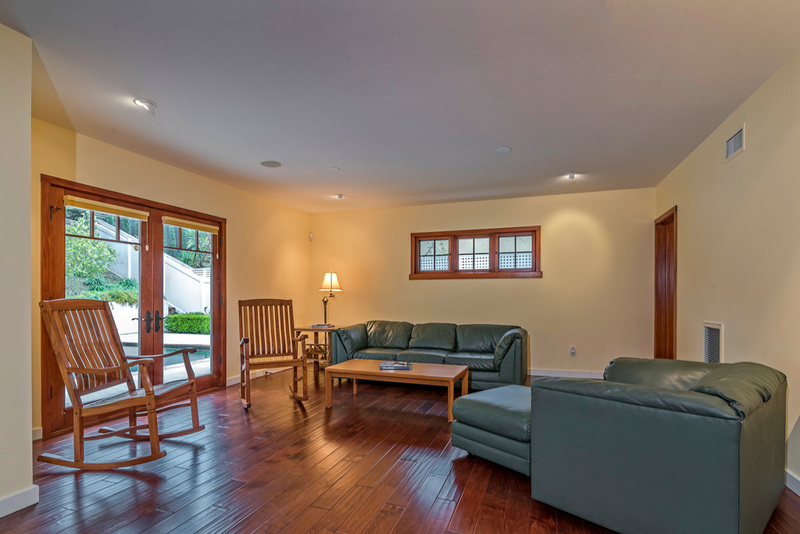 Enter into the vaulted ceiling foyer and walk across the cherry wood floors into the kitchen, the heart of the home. 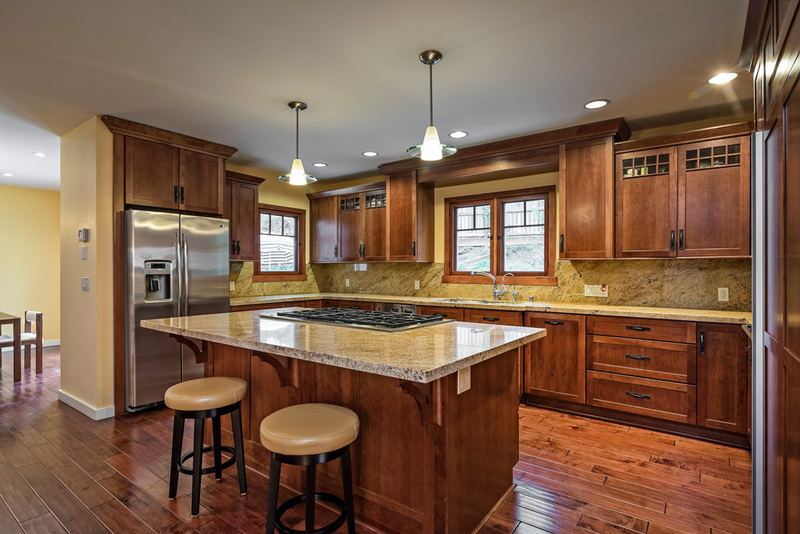 The counter tops are granite, and the center island hosts the cooking range as well as stools for entertaining. The appliances are all stainless steel and include a six-burner Dacor gas cooktop, oven, built-in microwave/convection oven, and warming drawer; Bosch dishwasher; and two GE refrigerators. A water filtration system is an added amenity to the kitchen sink and ice maker. There is additional storage located in a walk-in pantry. 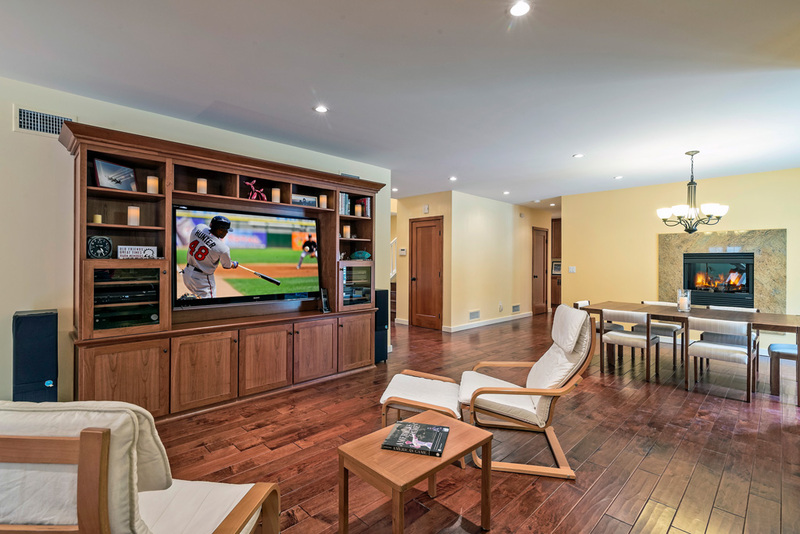 The custom built in wood media center is located in the sitting area in between the living room and formal dining room allowing for an area to gather and participate in the activity going on throughout the home. 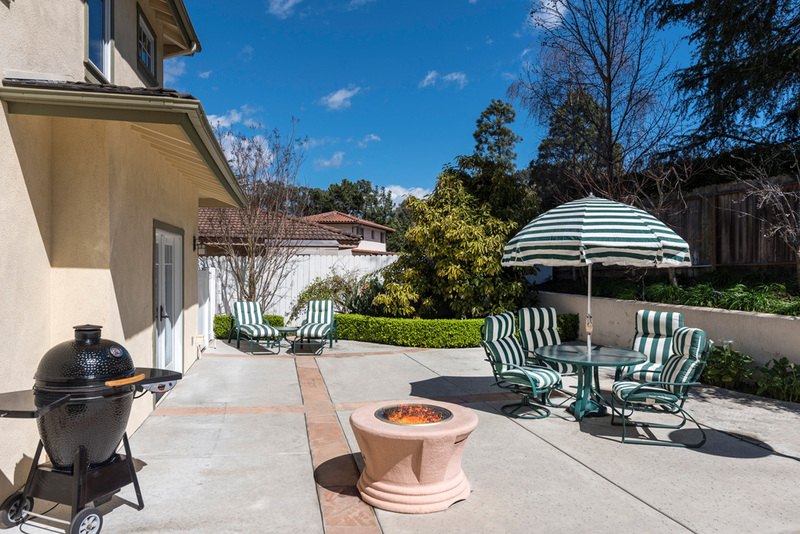 Two sets of French doors lead outside from this central area to a firepit, BBQ area, pool and spa and dog-run around the corner. On the opposite side of the completely re-built double-sided fireplace is a ground level library or home theater room with custom wood built-in cabinets, shelving and its own en-suite bathroom. On this wing of the house is another guest bedroom suite. A stunning hand-done staircase leads upstairs to a central open area for gathering that is surrounded by 4 bedrooms. Each bedroom is sizable and has closets built out by California Closets. 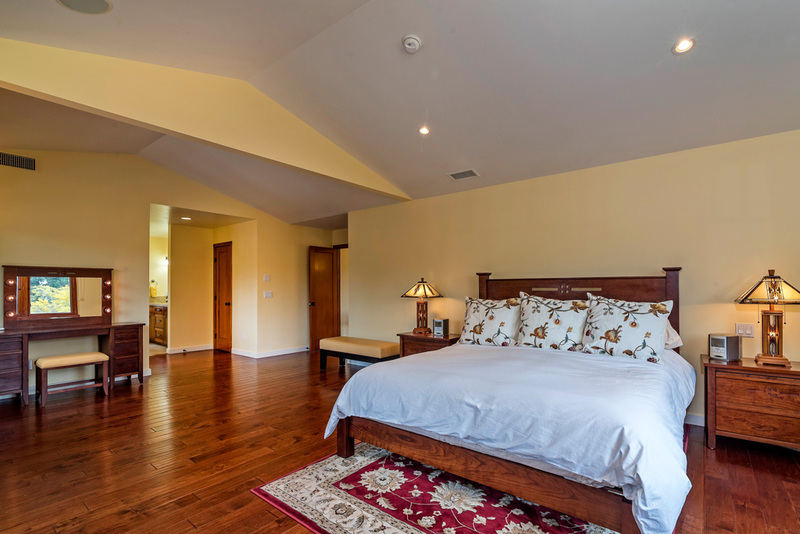 The spacious master bedroom has lovely mountain views across the city and features an enviable walk-in closet and en-suite bathroom with a natural stone shower and a separate soaking tub. In addition to the master, on the second floor are three additional bedrooms, two currently outfitted as home offices with custom built-ins and one set up as overflow sleeping space for guests. The washer and dryer are tucked into a series of closets with additional shelving for storage and a separate linen closet. There is a three-zone air conditioning system throughout the home. Two exterior tankless water heaters allow for more interior space in the many closets. The house has an alarm system, a 400-amp electrical panel, upgraded Kinetico water softener, and plenty of built-in storage in the garage. The three bays of the garage allow for ample parking, as does the meticulous driveway. There are no parking restrictions on this residential street, which makes accommodating gatherings in this entertainment home a breeze. Thoughtful updates include a formal path leading to the front door, exterior lighting, newly installed gates, re-painted fences, updated irrigation system, concrete edging around the flower beds and so much more.